Since his childhood Gianfranco (aka Director Kobayashi) developed a frenzied love for moving images, music and every form of art. He approached traditional animation during primary school, where he used to make stop motion films with a super 8 camera. In 1995 he enrolled at the Milan Polytechnic University to get a Degree in New Media Design, but soon he left the College to start his professional career as a VFX artist. 2007 marked a breakthrough in Kobayashi’s directing career where he moved to London, looking for international challenges. In 2009 he moved back to Italy and founded his boutique production company with Simona Dressino. From that moment he started directing and producing international feature films, commercials and music videos for Sony, Universal, Unilever, Pampers, Spinning Records, Italian Railways, Toyota, Yamaha, ING Bank, Pespi and many more. Witty and talented transition with a twist of style is what makes Kobayashi’s work outstanding. 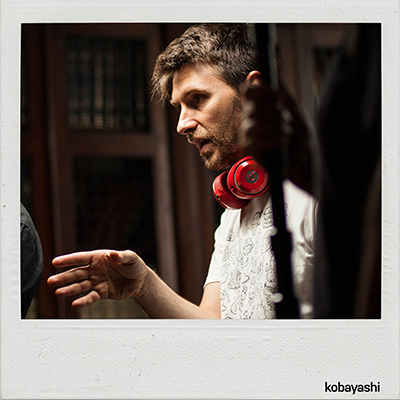 Kobayashi utilizes his extensive knowledge on set and Visual Effects to creative innovative and clever transition. His visual presentation strongly marks the generation of Internet networking, it has became his trademarks.